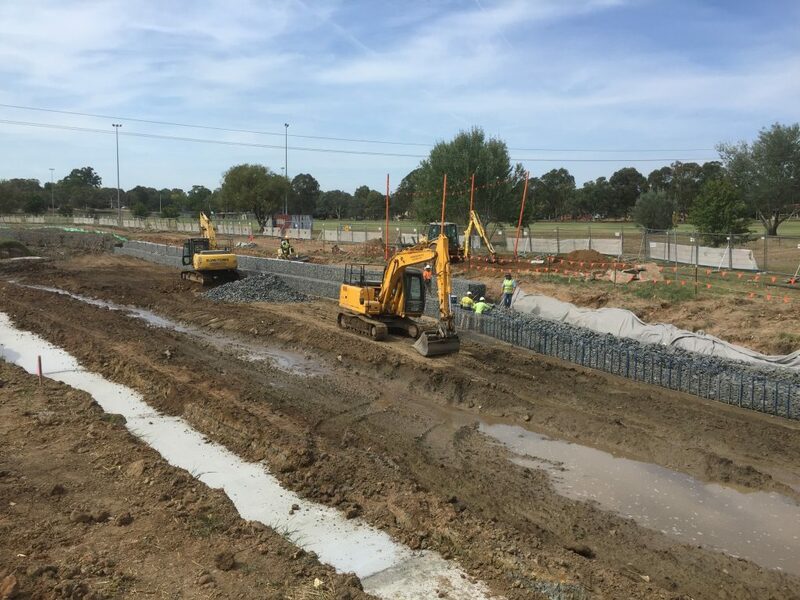 Part of the ACT Healthy Waterways scheme, the project involves the remediation of existing stormwater and creek channels in Curtin. The site is located either side of Cotter Road with the finished project to improve the aesthetic of the area whilst strengthening the existing creek embankments. The intersection of Tompsitt and Lanyon Drive in Jerrabomberra is located on one of the major access routes into the Australian Capital Territory. 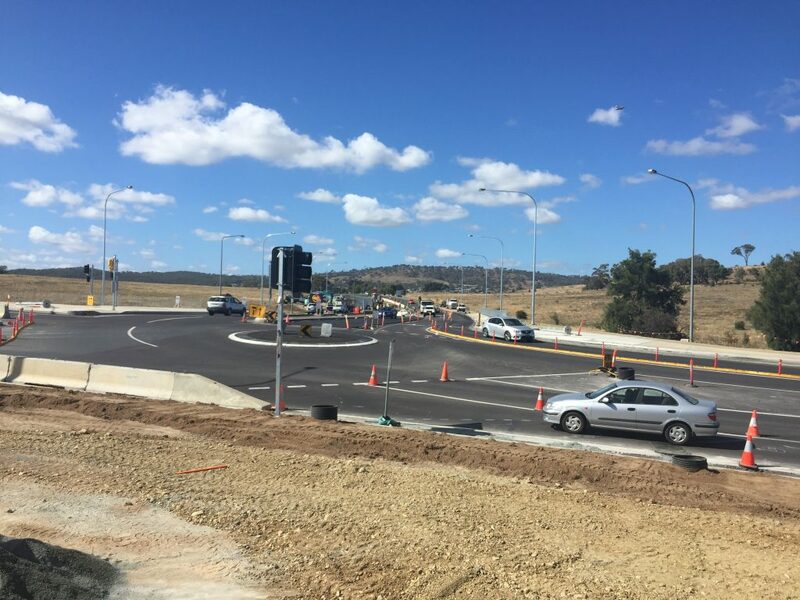 Commencing in July 2018, the project involves upgrading the configuration of the intersection from an existing roundabout to traffic signals in order to improve road safety for all vehicles and reduce congestion for motorists who travel through the area, particularly during peak times. Staged removal of existing roundabout and sections of old pavement. Detailed earthworks and rising of the existing pavement levels using heavily bound material in order to increase line-of-sight distances on approach to the intersection. Construction of new stormwater lines and drainage. Placement of new Asphalt pavement throughout the intersection and on all approaches. Relocation of underground services and installation of new street lighting. Installation and commissioning of new Traffic Signals. 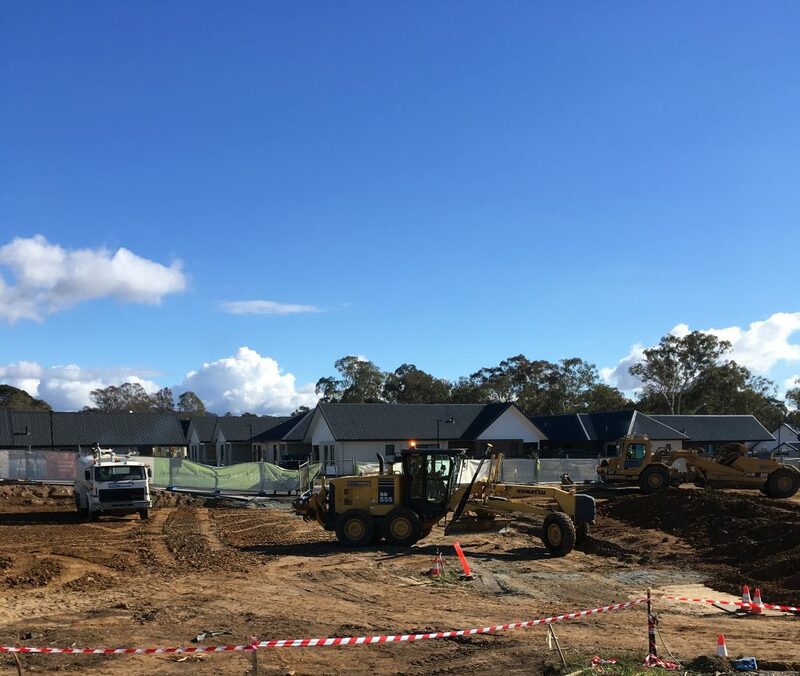 Commencing in August 2018, Part of the ACT Healthy Waterways scheme, the project involves the remediation of existing stormwater channels, construction of wetlands and a sediment basin in the suburb of Melba. The site of the works is west of Copland Drive, on the north of Ginninderra Drive. Its main purpose is to deliver healthy waterways, protecting the environment, and at the same time providing community amenity. The purpose of the project is to remove foul air from the existing sewerage infrastructure – the Molonglo Valley Interceptor Sewer – and disperse it to the atmosphere. 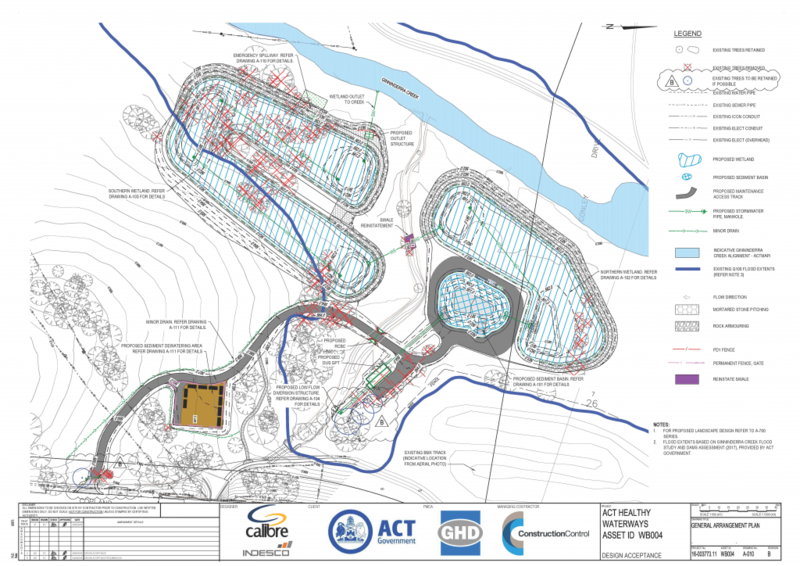 The MVIS is a 2m diameter sewer that transports a significant amount of Canberra’s sewage loading (2/3) to Lower Molonglo Water Quality Control Centre. Population and density growth necessitates the need to retrofit the existing infrastructure to ensure it can take the load, not be impacted by corrosion and not cause odour issues. Construction of a reinforced concrete fan house, along with fit-out of mechanical and electrical items and installation of ancillary items. Retrofitting 5 existing manhole locations to accommodate new air intake/induct cabinets. 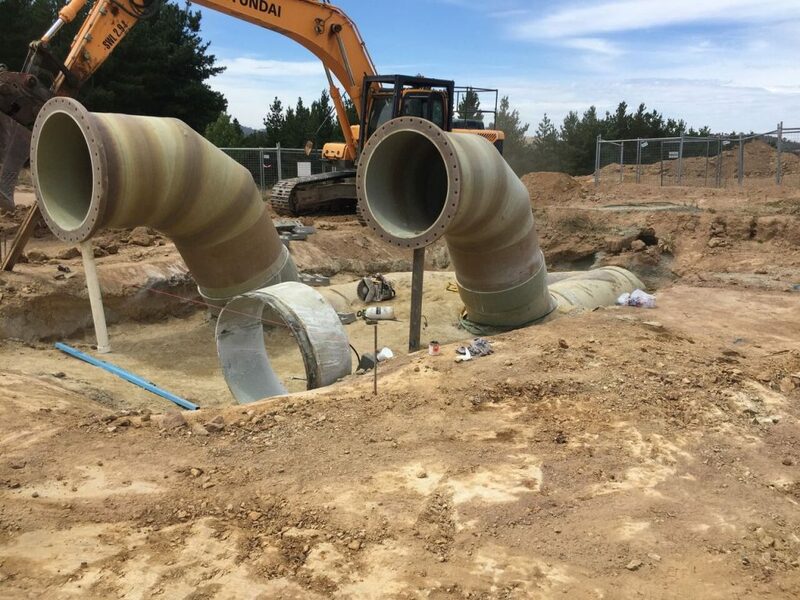 Construction of a new Foul Air Offtake structure on the Molonglo Valley Interceptor Sewer completed under live operation conditions. Due for completion in the third quarter of 2018, it is anticipated this project will protect existing Icon Water infrastructure and reduce odour complaints from residents. Commencing in October 2017, The Lower Molonglo Water Quality Control Center (LMWQCC) Dam Stabilization project involves remedial works and preventative maintenance on crucial and active elements of the largest inland sewerage treatment plant in Australia. Key works are to be carried out within the LMWQCC’s Bypass Storage dam which acts as a last resort buffer storage for the plant of 147 ML. The purpose of the dam is to capture partially treated sewage to prevent any release into the Molonglo River. Construction of three Terramesh gabion walls (1255m3) founded on 1.2m wide concrete footings (205Lm) and Rock anchors for tie into existing embankments. 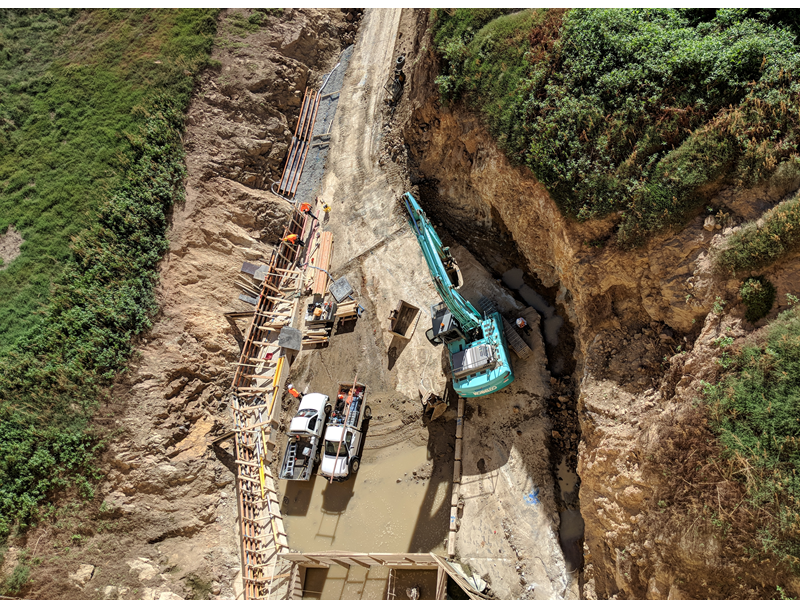 At the completion of the project, stabilisation of the Dam will provide a safer access environment within the Dam, reduce the current Dam maintenance regime and prevent potential damage to existing plant infrastructure. This work is to be carried out within an active sewerage treatment plant without disrupting operation of the plant. Marigal Gardens is a retirement village to be developed, built and operated by Hindmarsh in the ACT. On its completion it will provide around 140 independent living units that comprise of a mix of 2 or 3 bedrooms with 1 or 2 bathrooms. The construction of Marigal Gardens will provide for the demand for high quality, community focused living options for retirees whilst being in a convenient location close to all the activities retirees will enjoy. The Marigal Gardens project comprises of 2 stages involving the pavement only construction in stage 1 with bulk & detailed earthworks, underground services & pavement works making up stage 2. The Principal for this project is Hindmarsh Constructions and the design was carried out by Indesco. The scope of works can be summarised as including the following: Earthworks, pavements, underground services, kerbs and concrete paths and driveways. 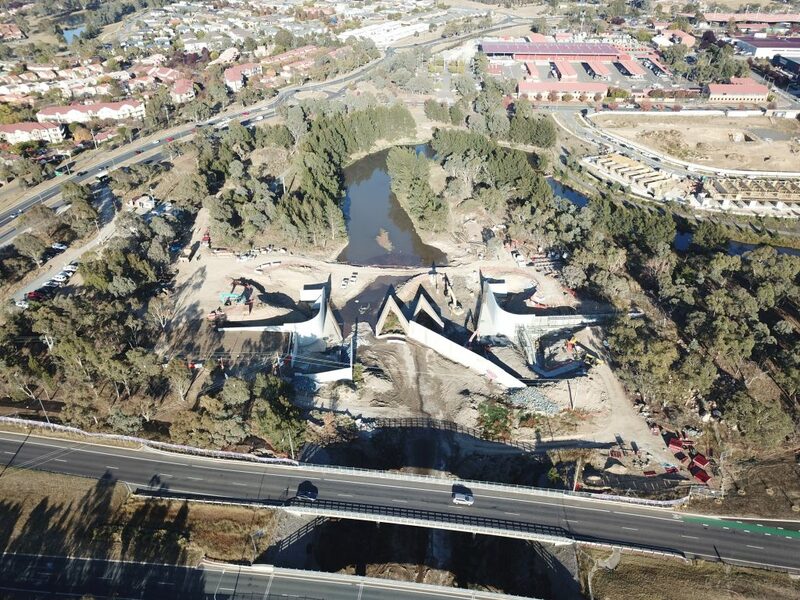 Due for completion in late 2018, there are two parts to this significant project; Construction of two wetlands in the existing Isabella pond as a part of the ACT Healthy Waterways scheme and the widening of the existing labyrinth wall weir forming the dam wall for Isabella pond. The aim of the Isabella Ponds Wetlands project is to improve the quality of the water at both the incoming pond areas as well as the outgoing water into the Murrumbidgee River system; the wetlands ponds will create a haven for flora and fauna. The weir is being widened to allow for higher flows, thus greatly reducing the risk to downstream stakeholders of Tuggeranong. The additional flow capacity of the weir also reduces the risk of damage to the Drakeford Drive Bridge. The key activities of the new upgrade include the demolition of the exiting abutment and labyrinth wall and then the reconstruction of the reinforced concrete structure. The Gungahlin Bus station Project commenced September 2017. The Capital Metro Agency Light Rail route between Canberra City and Gungahlin will terminate at the Gungahlin Town Centre. The terminus will be located in Hibberson Street at Gungahlin Place. The purpose of this project is to develop facilities and provide upgrades to foster and ease the transfer of passengers between light rail and the city’s bus network and others. 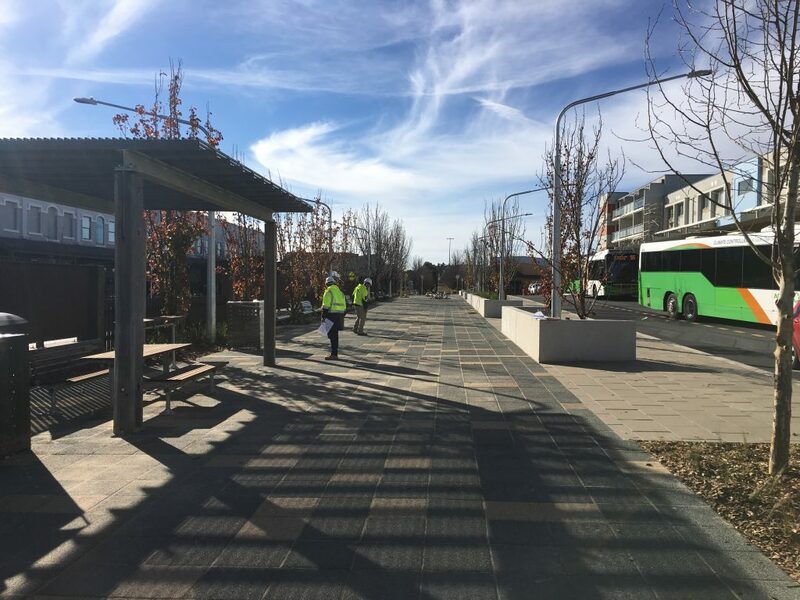 The construction of the Gungahlin Bus Station terminal, which encompasses substantial service relocations, pavement construction and landscaping. The signalisation of the Earnest Cavanagh/Gozzard Street intersection. Upgrade works to Hibberson Street (between Gungahlin Place and Gozzard Street) to convert the street into a one way (westbound) shared zone.